Through this program, recent graduates can research, study or teach abroad. 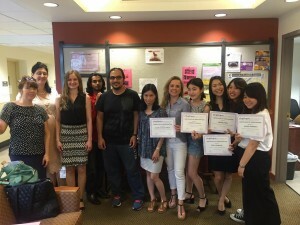 There are over 2,200 awards available for 2019-20, an increased number of English Teaching Assistant (ETA) placements and an increase in Master’s degree program placements. 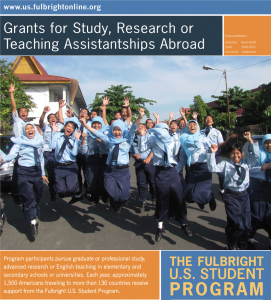 Chatham’s on campus Fulbright application deadline is September 10, 2018. Please see the below timeline and checklist for further information. September 10, 2018, Campus Deadline. You must submit final drafts of your statements at this time and list your recommenders, language, etc. September 17-21, 2018 On campus interviews with Fellowship committee. (exact days/times TBD). Campus committee evaluation completed. (FPAs upload form to Embark system). October 9, 2018, 5 pm EST. Online application system closes at 5:00 P.M. EST. Late January 2019. Finalists announced. March-May 2019. Fulbright winners announced by country. If you are interested in applying for a Fulbright grant, and for support in the application process, please get in touch with Karin Chipman, kchipman@chatham.edu or Chris Musick, cmusick@chatham.edu. Five languages plus one person equals the world of friendship and opportunities. This simple equation describes who I am and what I gained with the help of my language skills. I believe that global citizenship and cultural understanding can be achieved with the help of languages. Being a teacher of English as an additional language myself, I strongly agree that languages are powerful tools in discovering the world around us and critically reflecting on the concepts whirling everywhere in the world. My main goal as a language teacher is to produce responsible citizens, who are fully competent language users, critical thinkers, and social change agents. My first English language textbook series that I really liked as a student was called Opportunities. Since that time, the word “opportunity” has been one of my favorite words in English because it succinctly describes how I feel about the English language and its global significance. 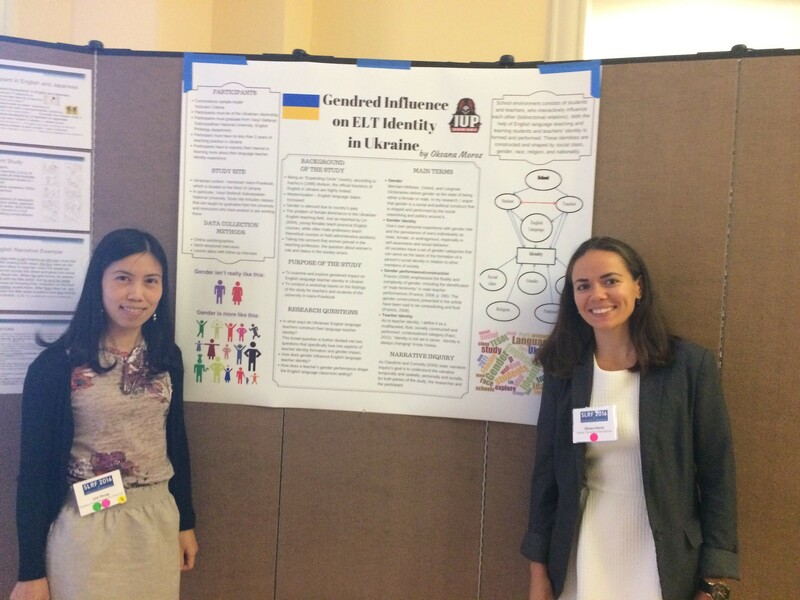 During my undergraduate studies at university, I realized that I wanted to research English language teacher identity formation and gender’s influence on it. Since then, I have been trying to achieve needed competencies and skills in the sphere of teacher education. Working with people, tutoring kids in English, and volunteering are my favorite activities. To summarize, I believe that the Ukrainian phrase “the more languages you know, the more times you are a person,” is vivid, self-explanatory wisdom that can be applied to any person in the world. My experience has proved that being multilingual is a way to achieve cross-cultural understanding, creativity, innovation, collaboration, teamwork, and critical consciousness. I would like to stress the role of the teacher in the process of acquiring global citizenship and cross-cultural understanding. Teacher’s linguistic and instructional skills and intercultural competence greatly matter, so that the glocal (global plus local) needs of the students are met. At the end of the first summer session, teachers in the English Language Program gathered to share their thoughts on English language teaching. One research-based finding from Alina’s presentation is that the “variable” that impacts students’ learning the most is the teacher in the classroom. Then what characteristics make an effective teacher? Does the teacher need to be a native speaker of the language that they are teaching? Marina’s presentation convincingly argues that the answer to this question is “no.” What makes teachers effective is not their nativeness. What is more important is their language expertise, professional training, and how they can create learning opportunities for students. Rachel describes a lesson where she was in a “teaching grove.” In that lesson, her passion and energy merged with the students’ and brought them all to a state of “flow.” This is a psychological state when everyone is totally absorbed in what they are doing and greatly enjoy themselves. Brigette brings up the idea that extensive reading for pleasure may be a good way to engage students and even help them to experience “flow.” In addition, when students enjoy reading, they may seek more opportunities to do so on their own. What can be a better outcome than that? Clearly, there are certain characteristics that good teachers and good teaching should exhibit, but teaching cannot be done to a formula. Teachers need to continuously reflect on and examine their practices to understand how they affect students’ engagement and learning.